I’ve updated the gallery with Paul looking good while attending the Avengers: Endgame premiere in Los Angeles yesterday. Paul made an appearance in last week’s 91st Annual Academy Awards Ceremony. He presented with Sarah Paulson the award for Best Visual Effects. On November 5, hundreds of guests joined Paul to benefit kids who stutter from families-in-need with his Annual All-Star Bowling Benefit. Check out the pictures in the gallery. Paul & Lily are in Tokyo to promote Ant-Man and the Wasp, which will be released in Japan in August 31. I’ve updated the gallery with photos of the pair during the premiere. I’ve updated the gallery with photos of Paul attending the New York Premiere of Ant-Man & The Wasp. 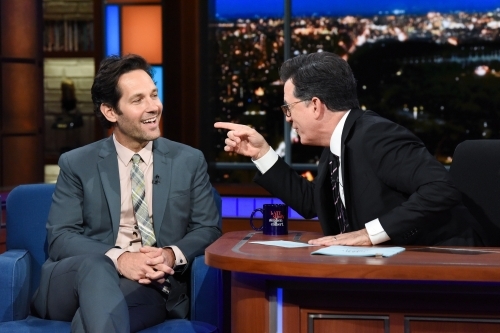 Paul was on The Late Show with Stephen Colbert last week to promote Ant-Man & the Wasp. 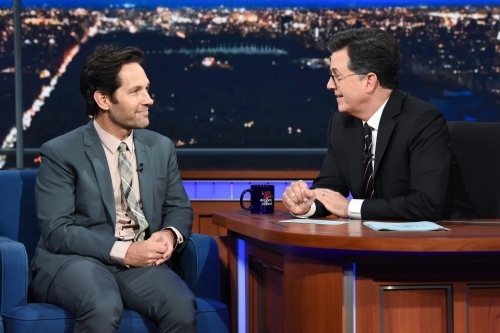 Check out the photos and the video from his appearance. I’ve updated the gallery with photos of Paul attending the Los Angeles Premiere of Ant-Man & The Wasp. I’ve updated the gallery with photos of Paul and his co-star Evangeline Lilly while they were doing press in Taiwan last week to promote their upcoming movie Antman & the Wasp.